Posted by Jay Watson on Wednesday, April 15, 2015 in Waitlist. What does it mean to be on the waitlist? How does the waitlist work? When will I hear if I’m in? You’ve got questions, and we’ve got answers. Here’s our wait list FAQ, updated for 2015. Before we begin, though, I want to congratulate you! If you were offered a spot on our waitlist, we think you’d be a valuable addition to the Vanderbilt Class of 2019. I know you were hoping for an offer of admission, but with only 1,600 spaces ultimately available in the class, the competition for admission is particularly keen. In recent years, we have used the waitlist to fill approximately 8%-10% of the incoming class, so you should know that an offer to join the waitlist is not so much a no as it is a not right now. If your interest in Vanderbilt continues, then please read on. And remember that questions are welcome in the comments section below. This one’s easy – simply log in to your MyAppVU account and click on the “Claim My Spot” button on the front page. In addition, be sure to respond to each of the Waitlist Update emails you receive from our office throughout the waitlist season to let us know that you are still interested in attending Vanderbilt. 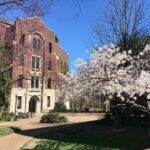 If I was waitlisted at Vanderbilt, do I really have any chance of getting in? Absolutely. 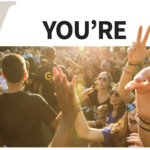 A waitlist offer from Vanderbilt is not a nice way of saying no – it’s our way of saying, “we may be able to admit you, but not right now.” Over the last few years, 8-10% of our incoming freshmen have been admitted via the waitlist, so if you’re still interested in enrolling at VU, hang in there! I’m on the waitlist at Vanderbilt, but I’ve decided to enroll somewhere else. What do I do? If this is the case, congratulations! We know you will do wonderful things wherever you have decided to enroll. Please be sure to decline your spot on the waitlist via the electronic form provided on your MyAppVU account. Just like we cannot predict any one student’s admission chances during the rest of the admissions cycle, we cannot predict your chances of being admitted off the waitlist. However, we can tell you that we expect 8-10% of our freshman class to be made up of students who were admitted from the waitlist. Because Vanderbilt admits its incoming first year students by individual school, we do not have one giant waitlist, but rather four separate lists for each of the four schools. We do not rank our wait lists. As places in the class open up, we will be pulling our wait-listed applicants using the same holistic review process we used in the initial evaluation, taking into account high school achievement, standardized test scores, extracurricular involvement, and those wonderful intangibles that come through in your essays and recommendations. How can I increase my chances of being admitted? The waitlist is the one time in our process where we do take into account a student’s demonstrated interest. Please be sure to continue responding to each of the Waitlist Update emails we will sendover the next several weeks to let us know that you are still interested in enrolling at Vanderbilt. When we begin making offers, your demonstrated interest may be a factor we consider. Should I send in additional information to help my chances of being admitted? While we do not require you to submit new information during this process, we certainly allow it. Feel free to send new test scores, new grades, new activities, new leadership positions, or new letters, but make sure to focus on that key word: new. As previously stated, your spot on the waitlist is a good sign that your application was pretty spectacular to start with, and sending additional materials for the sake of sending additional materials will not give you a leg up in this process. When will you begin making offers of admissions from the waitlist? We will likely begin making offers to our waitlisted students in the first week of May. Because this is after the national candidate reply date of May 1, we strongly encourage you to submit a deposit at another school to ensure you will not be left without any options. We will continue to make offers until the freshman class is completely filled, which may occur within the month or well into the summer, depending on how quickly those empty spots are snatched up. How will you notify me if I am admitted? If you are offered admission, you will receive an email from the Director of Admissions. If you are still interested in receiving the offer, your admit status and your financial aid package will be made available via your MyAppVU account. You will then have a limited amount of time to accept the offer and pay your matriculation fee. Although we do reserve the right to be need aware when admitting wait-listed students, those who are admitted and have applied for need-based aid will still receive 100% of their family’s demonstrated need, completely loan free. Students admitted off the waitlist are not eligible for merit scholarships. We hope this answers all of your questions, but as always, let us know if we missed anything in the comments below. Congratulations and best wishes to you all! The number of students on the waitlist changes daily as students drop or add. 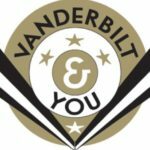 If you remain interested in Vanderbilt, respond to the Waitlist Update inquiries to make sure we know. Thank you! Thank you so much for answering. I might as well keep dreaming for now… Have a great one! Actually, one more question… When will you guys begin making freshman waitlist offers? Do you still intend to at all? Paty, typically we do not begin making offers to the first-year waitlist until sometime in May. Keep watching the blog for updates about the WL status. Thanks! 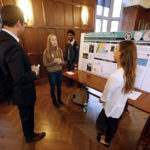 Please clarify comment above – “Students admitted off the waitlist are not eligible for merit scholarships.” When we visited Vanderbilt we were told by admissions staff that National Merit Finalists still qualify for a merit scholarship even if admitted off the waitlist. Thank you. Thank you for this question, Barry. I should have said that students admitted off the waitlist are not eligible for *Vanderbilt* Merit Scholarships. Students admitted from the waitlist are eligible for National Merit Scholarhips. Good catch and thank you! How does this change if you are placed on the waitlist for transfer students? In recent years is there a trend for the amount of Transfer class that comes from the waitlist (like the 8-10% of the freshman class)? Thank you so much for your time. Hi John, and thanks for your question. We do not have a comparable statistic to share regarding the transfer waitlist. These numbers change from year to year, so we can’t give you a similar guide. Again, thanks for asking. Where should updated information for wait listed students be sent? Thanks for the question. Update information should be send directly to your admissions counselor. Who should you send updated information to if your admissions counselor is on maternity leave? Thank you. Hi Rachel, thanks for the question. Give us a call on our main phone number – 615.322.2561 or 1.800.288.0432 – and we can tell you where to best send that info. Thank you. May I ask the number of offered spots for wait-listed students for engineering school in the past? is admitted from the waitlist. We do not report these statistics by school. Thanks for your question. Yes, we have now begun making offers to students on the waitlist. More info at http://admissions.vanderbilt.edu/vandybloggers/2015/05/2015-waitlist-update/ thanks for your question! I’m really interested in attending VU but I’m a High school Senior. I was wondering if you knew any advice that would be helpful for me to reach my goal to attend there? I find it a very prodigious community and I would love to be apart of that. Thanks for your interest, Mariam. 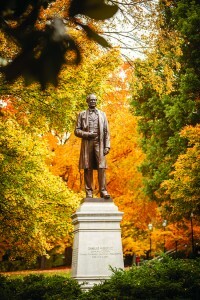 I recommend that you reach out to your admissions counselor through our site at http://admissions.vanderbilt.edu/your-counselor/. He or she can give you guidance about the best route forward. 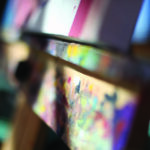 Also, keep reading the Admissions blog and web site for information about the process. Again, thanks for your interest and have a great senior year! will you be publishing an update for 2016? Not at this time … if you were offered a spot on the wait list, your MyAppVU portal contains more info about the wait list (the link is titled “Important Waitlist Information” – it’s just to the right of your official letter on the site.) We are also certainly happy to answer specific questions if you have any. Around what dates do transfer students start getting pulled from the Waitlist? Our transfer admissions process is ongoing … students will receive email notifications for changes in their status. Thank you.